Available in 4 sizes: 3.5mm, 4mm, 4.5mm and 5mm. Please select the size you would like from the drop down box. New knitting needles for children, made with the usual care and attention to detail that you come to expect from ADDI. 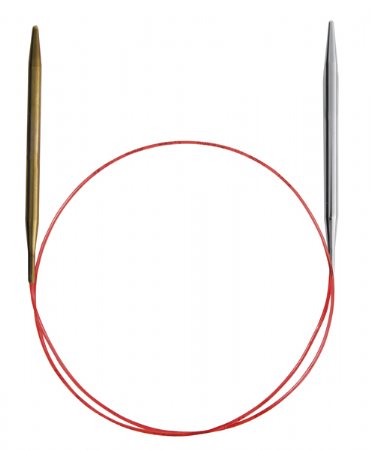 ADDI circulars for beginners: with short needle tips for small hands - one shiny nickel-plated tip and one satin-finish brass tip, just to help the learning process along. The flexible cord is 60cm long, perfect for first projects.